Arteries are blood vessels that carry blood rich in oxygen throughout the body – from the brains to the toes. Healthy arteries have smooth inner walls which allow blood to flow through them easily. Having said that, do you know why some people complain of high blood pressure every now and then? I guess you don’t. In most cases, people refer to it as clogged arteries or hardening of the arteries. Doctors use the formal term Atherosclerosis. It doesn’t matter what you call it but of healthy importance to you, it occurs when cellular waste, fat, cholesterol, and calcium stick to the artery walls and form plaque. In response to plaque buildup, cells in the artery walls multiply and secrete additional substances that can worsen the state of clogged arteries. The plaque makes the arteries narrower, which keeps arterial blood circulation from flowing as easily as anticipated. If the arteries to the heart get blocked, you can have a heart attack. If the arteries to your brain get too blocked, you can have a stroke. The good news about all these is that there are steps you as an individual can take to avoid treating this. You should however still have the usual saying in mind; prevention is better than cure. Try out most of this home remedies and you will be surprised how healthy you will live. I’m quite sure that you would love to reach the 100-year mark sometime later. Research shows that most people with stroke or heart failure cases do not live to their 90s. I am quite sure that you would love to see both your grandchildren and great grandchildren during your late years. Obviously, you do not want this to happen to you. So, here are 10 things you can do at home to keep your arteries from clogging up. This is a naturally occurring form of vitamin E that has amazing health benefits. Tocotrienols can be used as a food additive as well as a substitute for vitamin E. The human body cannot synthesis vitamin E by itself and therefore tocotrienols are an essential type of vitamin E additional to the body. A recent study showed that arteriosclerosis could be reversed using tocotrienols along with the tocopherols, which is another form of vitamin E. Amazing! 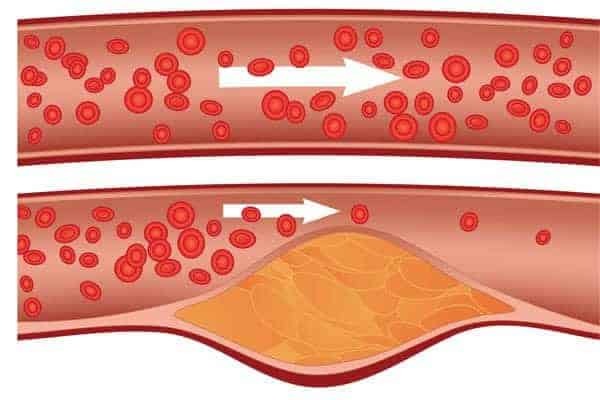 The reversal of clogged arteries with no drugs! In fact, 98% of the patients receiving tocotrienol improved while 48% of those that did nothing deteriorated. Tocotrienols are easy to take supplements that are found in a capsule form. Tocotrienols are compounds naturally occurring at higher levels in selected vegetable oils including palm oil, rice bran oil, wheat germ, barley, saw palmetto, annatto and certain types of seeds, nuts, grains and the oils derived from them. From a health point of view, it is important to know that even though many plants are readily available and relatively high in tocotrienols, it is impossible to raise the tocotrienol levels in the body and obtain a direct measurable health benefit. To reach the required level of tocotrienol level in the body, it is necessary to apply advanced extraction and concentrated techniques as well as sticking to natural food as opposed to ordinarily processed food. Research show that tocotrienols have health benefits to the human body. Tocotrienols are said to be effective antioxidants since they are unsaturated and penetrate into saturated fatty layers of the brain and liver. Studies also show that tocotrienols can lower tumor formation, DNA damage, and cell damage. Going by these findings, it follows that tocotrienols can be a remedy for the arterial plaque that causes blockage or narrowing of the walls of arteries to the brain reducing the chances of stroke.